Australian fashion brands are bearing the brunt of increasing unwanted attention for unethical supply chains. No-one wants to talk about it. But if you’re working in procurement for the fashion industry, you’re in the hot seat. Fuelled by consumers’ love affair for fast fashion, the fashion industry is finding ways to produce faster and cheaper apparel than ever before. The latest example of this is Kmart and Target producing school uniforms for $2 an item, in a marketing campaign that made recent headlines for all the wrong reasons, given that factory workers are paid below levels that can cover basic living expenses. The broader industry is digging its own grave, and, in years to come, the fast fashion industry will cease to exist, warns an Australian fashion industry authority who has worked on both sides of the fence. Catherine van der Meulen (formally Taouk) worked her way up in her father’s teen, fast fashion brand SUPRÉ for 15 years, which specialises in mass-produced, cheap fashion. During those years, the potential issues of unethical supply chains never crossed her mind. She’s since realised the error of her ways, designing the Raw to Store movement to educate businesses about the spectrum of impacts generated by the fashion industry globally. “Since leaving SUPRÉ, I’ve realised that there’s another way to do business, and it’s not this ruthless, cut everyone down to make money style of business that’s operating in the fashion world today,” van der Meulen says. But she’s making up for lost time. Late last year, van den Meulen landed the role as head of corporate sustainability at Clean Cut Fashion – Australia’s industry body for ethical and sustainable practice. The organisation connects Australia to the global sustainable fashion movement and encourages national retailers to be more mindful of their supply chain. She has only been in the role a few months, and is starting by raising awareness and contacting the industry’s worst offenders in search of a commitment. “I’m starting with exemplifying the ones that are doing well in creating positive impact in the industry. We want to empower the great work of the brands that are committed to change and use that to teach other brands,” she says. Issues associated with unethical supply chains include building an entire brand on an unsustainable business model, bad publicity, consumers turning to social media to vent about brands doing the wrong thing and, of course, knowing that you’re paying workers less than they need to live on in their own countries. “It’s my job to look at the supply chain of these fashion brands here in Australia and open up discussions around what’s being done to improve the processes. There’s plenty of room for improvement out there. But there’s generational corporate resistance to work through,” says van den Meulen. She hopes to bring about change among Australian fashion brands that rely on mass sales by producing ‘loss leaders’ (extremely cheap items that are highly publicised), which are commonly mass-produced in unethical supply chains and manufacturing establishments in third world countries, she says. To highlight the sheer size of the issue of unethical supply chains in Australia, she points to the Australian Fashion Report prepared by Baptist World Aid Australia, which last year named and shamed Australian fashion brands that haven’t cleaned up their supply chain or protected workers overseas. The report was released two years after the fatal Rana Plaza factory collapse in Bangladesh, which saw the lives of 1,129 factory workers die. This event has put a black mark against the collective fashion industry, and van der Meulen says everyone needs to take responsibility. The Baptist report named iconic Australian fashion brands as worst performers, such as the Just Group (owner of Just Jeans, Jay Jays, Dotti, Peter Alexander and Portmans), fast retail brands like Ally, Valley Girl, Temt and Industrie, and low cost suppliers like Lowes and Best & Less. These companies each received D or F grades because there was little evidence they were doing much, if anything, to protect workers overseas. Many had little or no publicly available information and/or didn’t respond to requests to engage with the research process. Oxfam Australia also released a report late last year naming the Australian brands dodging workers’ rights. The report named Best & Less as making the least progress of all the companies Oxfam has been engaging and assessing. The Just Group was also named in the report as another company sourcing from Bangladesh, which has so far refused to sign the Fire and Safety Accord. And while almost impossible to put a figure on the cost of cleaning up unethical supply chains, she recommends that procurement professionals approach this mammoth task in an authentic and transparent way. Procurement professionals need to take responsibility for what’s happening further down the supply chain, starting with an independent audit to uncover and document the issues, she says. “I recommend that fashion brands start out by doing the B Corp assessment, which take just 90 minutes and gives you a rating out of 200 to see where you stand today,” she says. Next, work out where you can make the most impact within your supply chain, and commit to starting an improvement program. “Just focus on one thing that will improve your supply chain by 1 per cent this year. This could include improving energy consumption or waste water, changing suppliers, or sourcing more ethically produced products,” van der Meulen says. Fast fashion helps sate deeply held desires among young consumers in the industrialised world for luxury fashion, even if it embodies unsustainability. Trends run their course at high speed, with today’s latest styles swiftly trumping yesterday’s, which have already been consigned to the waste bin. Fast fashion has allowed for the constant supply of fashion trends, captured straight from the catwalk, at a cheap price. What is ‘The True Cost’ of Fast Fashion? The True Cost movie is a 2015 documentary that focuses on fast fashion and the supply chain. The documentary discusses several aspects of the garment industry from production – exploring the life of low wage workers in developing countries – to its after-effects of river and soil pollution, pesticide contamination, disease and death. The True Cost is a collage of interviews with environmentalists, garment workers, factory owners, and fair trade companies and organisations, promoting sustainable clothing production. 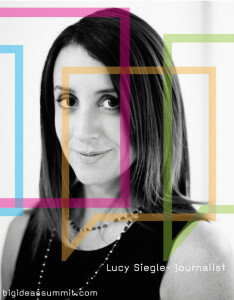 Lucy Siegle is an author, journalist and Executive Producer of The True Cost. Her research into the fashion supply chain lifted the lid on the pollution and blind exploitation, inspiring her book ‘To Die For’. The deeper she dived into the fashion supply chain, the bigger the story became. In an interview for The True Cost, Siegle comments that the most surprising thing she discovered was how quickly a sustainable system can be undone and destroyed forever. She had discovered that most western buyers were using completely nonsensical calculations when they placed orders in first tier factories. This meant that factories could not possibly complete the enormous orders that had been placed, and would turn to outsourcing. 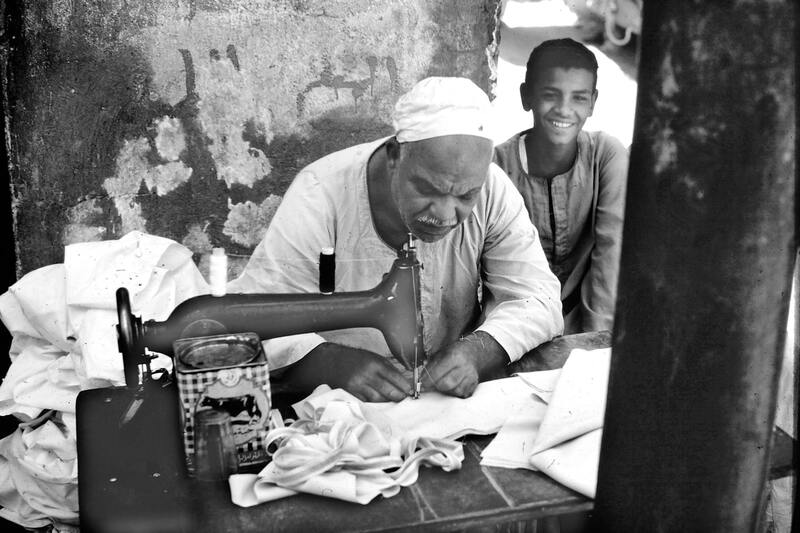 This was where sweatshop labour became the reality. 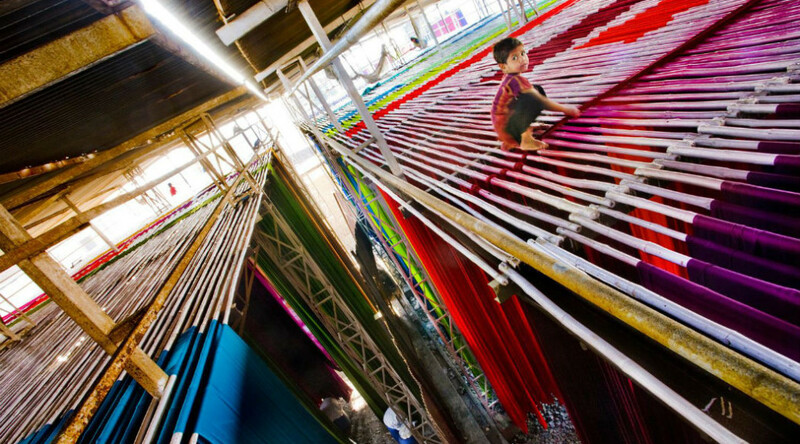 Garment manufacturing is estimated to be a $3 trillion industry. Yet factory workers are subjected to poor working conditions, low salaries and minimal to no rights. 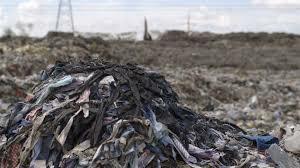 The True Cost documents the events of the 2013 Savar Building, or Rana Plaza, disaster, when an eight-story commercial building collapsed, killing over 1,000 people. The event sparked the investigation into fast fashion on a global scale. There is pressure on the supply chain to manufacture garments quickly and inexpensively, allowing the mainstream consumer to buy current clothing styles at a lower price. Fast fashion very quickly became disposable fashion, due to the relatively low costs needed to deliver designer products to the mass market. 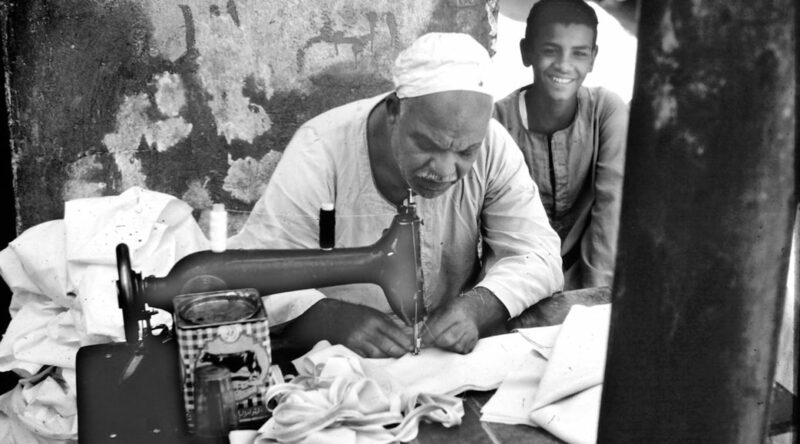 The consequences of the trend became noticeable through increased pollution from manufacturing of the clothes and the decay of synthetic fabric, poor workmanship, and the emphasis on brief trends rather than classic pieces. Recently, Australian surfwear brands have been urged to publish a list of every factory used in their supply chain. This follows an investigation that revealed some garments being made for the Rip Curl brand had been manufactured in North Korea, where factory workers endured slave-like conditions. Rip Curl claimed to have no knowledge of their garments being produced in North Korea, as the clothes were shipped to retail outlets and sold with a “made in China” logo on them. Rip Curl blamed one of its subcontractors for the practice, stating this was a case of a supplier diverting part of their production order to an unauthorised subcontractor and country. This was done without their knowledge or consent, and in clear breach of supplier terms and policies. After the 2013 Rana Plaza collapse in Dhaka, Bangladesh, Australian firms’ garment-sourcing policies came under intense scrutiny. 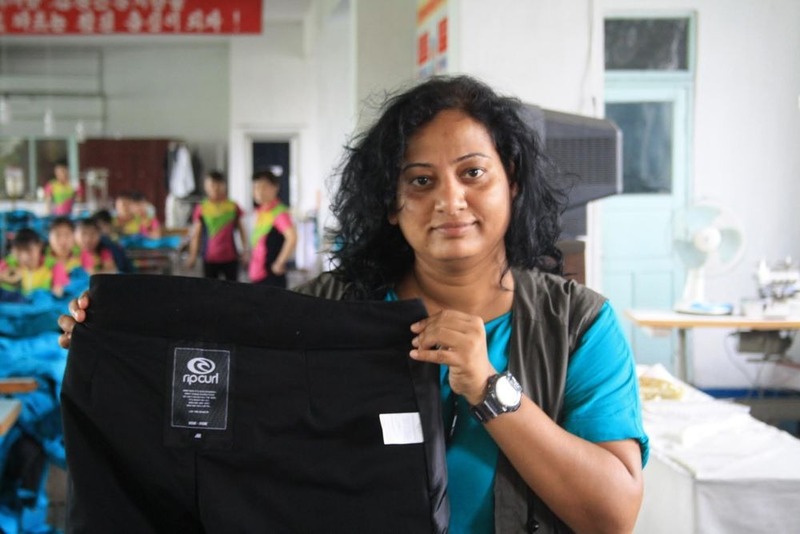 More than 90 per cent of garments sold in Australia are estimated to be sourced from Asia, while a huge proportionate of Asian garment workers are women who are paid minimal or poverty wages. The event promoted a number of global brands to speak openly about their CSR efforts. Lucy Siegle comments that Public Relations efforts around company CSR efforts are getting more sophisticated. However, in many case, the business models stay the same. This is a concern when the business model is based on furious expansion, and companies are investing in pilot schemes in new low-wage fashion production hubs. The fast-changing and glamorous image of the fashion industry presented to consumers is the very aspect which poses significant challenges for supply chain professionals. Companies are increasingly opting for a similar supply chain network, allowing them to easily and quickly replenish and rotate stock, and align with local market trends. Sourcing location is one of the biggest challenges posed in the fashion industry. Sourcing from further afield can bring lower costs, but results in visibility and traceability challenges. Sourcing close to key markets guarantees a fast response, but has much higher costs and capacity constraints. Lucy Siegle is a key note speaker at the Big Ideas Summit 2016 powered by Procurious. She will be sharing her thoughts and experiences on the ethical supply chain and the true cost of doing business in the fashion industry and a number of other industries. With new changes to the Modern Slavery Act coming into effect as of April 1st, we ask how much progress has been made since 2015? 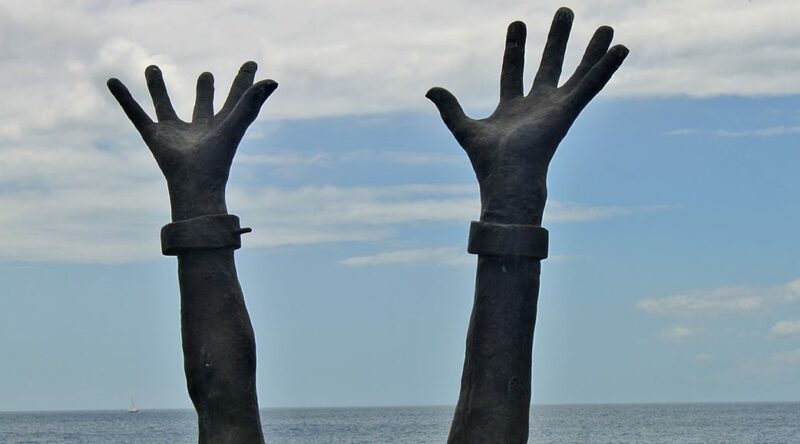 At Procurious, we know it’s crucial to continue focusing on the issue of modern-day slavery, both with regard to tackling existing cases, and to encourage and applaud organisations who are making real efforts to end the practice world-wide. Last week, it was reported that the majority of small firms are ignorant of the Modern Slavery Act and the impact that the law changes will have on them. On the flip side, it was announced that the Building Research Establishment (BRE) are launching a standard to help businesses tackle risks around modern slavery. As the Telegraph reports, with the modern slavery laws set to change again as of this April, ignorance is no longer an excuse. 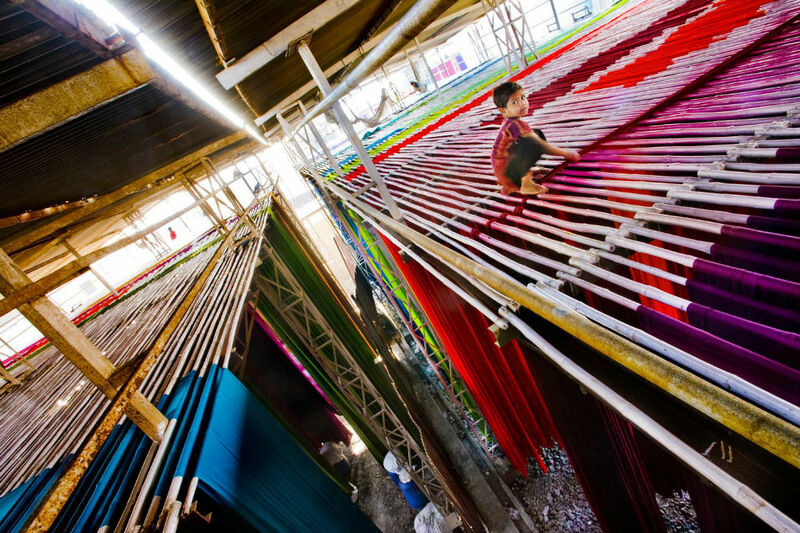 New UK legislation, effective from 1st April 2016, requires all businesses with a turnover of over £36 million to prove they have taken steps to remove slave and child labour from their supply chains. It is currently estimated that between 21 and 39 million people worldwide are victims of modern slavery. The changes to the Modern Slavery Act 2015 will force big organisations to fully audit their supply chains. It is expected that, as larger companies begin to investigate suppliers throughout their supply chain, there will be a trickle down effect to smaller businesses, who will be expected to prove they are slavery-free. Chris Ross, founder of J&K Ross, spoke with The Telegraph stating, “ultimately, big companies will not deal with firms of any size that they don’t feel safe with.” With this in mind, he has begun voluntarily auditing the supply chain of his safety equipment business, to ensure it is fully compliant. CIPS have released guidelines to help companies below the £36 million threshold voluntarily comply with the act. According to research released by The Chartered Institute of Procurement & Supply (CIPS), almost two thirds of SMEs are unaware of the Modern Slavery Act and the impact it has on them. The CIPS polled 263 SMEs. Despite the changes only directly targeting larger businesses, it is expected that there will be a knock-on effect on SMEs. It is these smaller businesses that are particularly ignorant of how the amendments to the law this April will affect them. 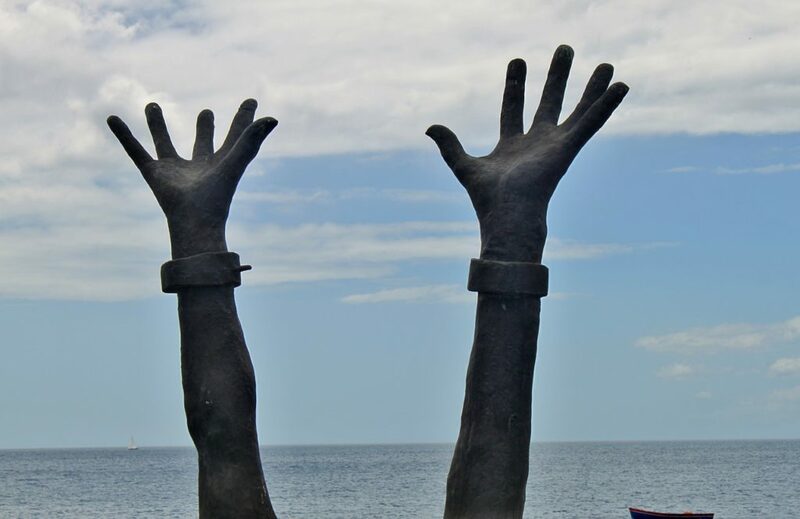 Whilst acknowledging that smaller companies may not have access to the same resources as large organisations to tackle slavery, the report asserts that a number of simple measures can be put in place. These include the formation of partnerships between larger corporations and smaller SMEs. Despite many SMEs claiming to not have found any evidence of slavery or forced labour within their supply chains, it seems this is largely due to ignorance and lack of action. Of the SMEs surveyed, 67 per cent admitted to having never taken any steps to tackle the issue of forced labour, and 75 per cent said they would not know what to do if modern slavery was found in their supply chains. Nigel McKay, former procurement head at HS2, is launching a standard with the Building Research Establishment (BRE), which will assist businesses in tackling risks around modern slavery and other ethical labour issues within their supply chains. The standard will cater to companies of all sizes, and be applicable across varying industry sectors for three tiers of companies – those with a turnover under £36 million, between £36 and £500 million, and those with turnovers of more than £500 million. With the law change effective as of last Friday, it won’t be long until SMEs feel the pressure to take action and start voluntarily assessing their supply chains. The Public Procurement Amendment Bill 2015 has been passed by the Ghana’s parliament. The bill will introduce a sustainable public procurement framework for contracting and electronic procurement, and will also bring about a more transparent and accountable procurement system. The 2003 Public Procurement Act has been amended to improve public financial management, and now needs to be signed by Ghana President, John Dramani Mahama, to bring it into force. 2003’s Public Procurement Act “exposed some administrative bottlenecks, delays and imbalances in the procurement structure,” the government statement added. Brambles, a global supply chain logistics company operating primarily through the CHEP and IFCO brands, has announced its Sustainability Goals for 2020. The company’s goals focus on the most material aspects of the Group’s operations and are closely aligned with the United Nations’ Sustainable Development Goals (SDGs). You can view the full details of the company’s 2020 goals here. Manufacturers operating in high-value sectors, such as the aerospace and automotive industries, are going all out to forge relationships with businesses in other sectors in order to secure a clear, competitive advantage. These businesses are demonstrating how a bit of lateral thinking and a clear sense of what end users want can create some unlikely and yet productive partnerships. It is now business critical to establish supply partnerships that will enable them to work together to innovate new products and services and bring them to market more quickly. Of course, there are significant risks attached to such supplier collaboration relationships, which some businesses may be reluctant to establish. The report looks at how the world’s successful cities have achieved their growth. It found cities did best by perfecting existing skills rather than completely overhauling themselves. The rise of digital payment systems has brought the blockchain into the public consciousness. But can blockchain be used to aid supply chain transparency? Just shy of ten years ago, technological innovation and the supply chain might have been considered strange bedfellows. Now they go hand in hand. But as technology advances at an ever-increasing rate, it makes sense that supply chains the world-over are also becoming increasingly complex as a consequence. However despite the numerous advantages brought about by this envelope-pushing, we must remain vigilant and alert to the increased risks such new avenues afford us. 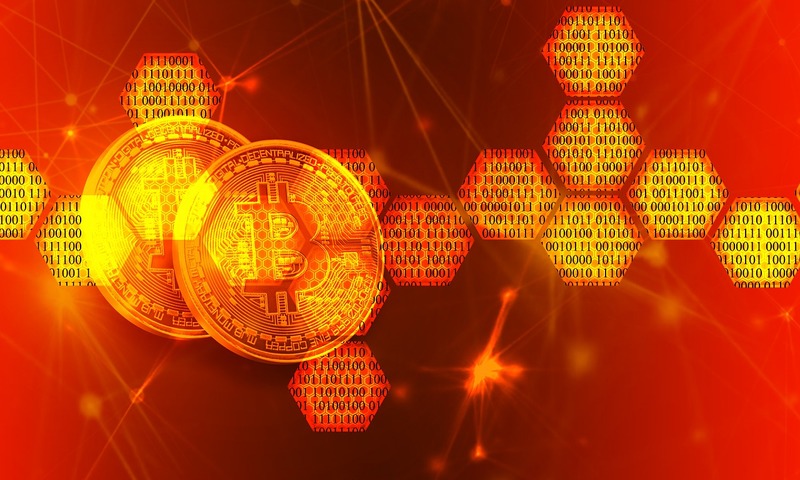 Recent years have seen a rise in both the adoption and implementation of digital payment systems and so-called “crypto currencies”. Such innovations in payments have removed the need for traditional, physical currency, as well as the bricks and mortar institutions that process them. 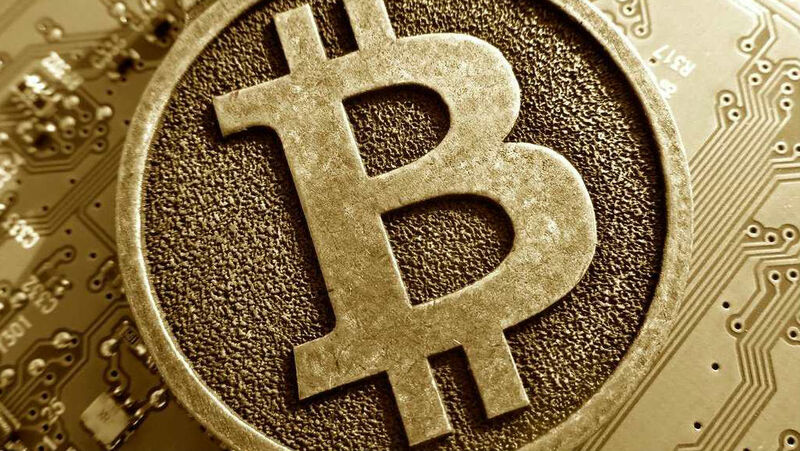 Bitcoin is but one example that’s fast revolutionising the payment industry. Bitcoin is a digital currency that’s been heralded as both an innovator and disruptor in yearly tech trend reports. Bitcoin is effectively a peer-to-peer system. Its users can carry out transactions without the need for a middleman, but all activity is recorded and verified by the blockchain. Think of blockchain as a ledger and you’re halfway there. Bitcoin has given the blockchain an early success with its 15+ million bitcoins already in circulation. But with a limit of 300,000 transactions per day (a ceiling that’s fast-approaching), we have to wonder – is there a future for a digital distributed database format? It’s worth noting that the blockchain isn’t owned or operated by a singular body – hereby distinguishing it from a conventional ledger system. Instead, each network node stores its own copy of the blockchain, so whenever a transaction is made it is first recorded in one place, before being transmitted to other nodes that make up the database. The “block” comes from the name given to accepted transactions. The system checks approximately six times per hour for new ledger activity, and to determine if a bitcoin amount has been spent. Blockchain – Bigger than Bitcoin? 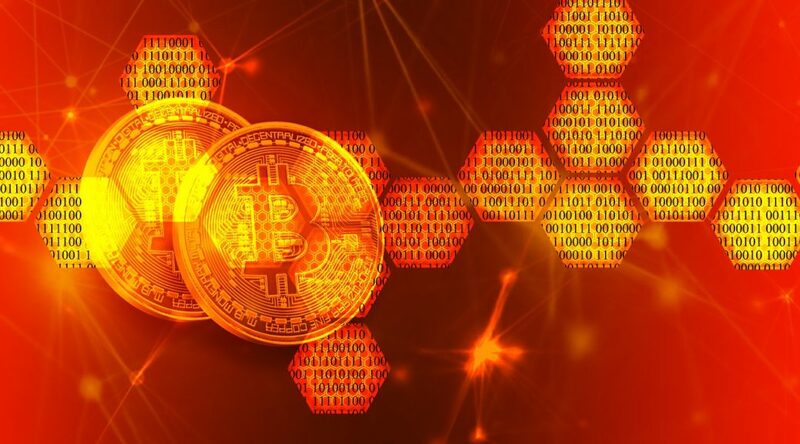 Putting bitcoin’s reliance on the blockchain aside for a moment, various figures have spoken out about its potential to transform not just payment systems, but improve the delivery of services and assure the supply chain of goods. Nothing if not an encouraging sign, a report from Mark Walport, the UK Government’s Chief Scientific Advisor, made proposals that the Government itself should explore applications for the burgeoning technology. Records ultimately lie at the crux of the blockchain. So a technology that serves as an incorruptible ledger, and one that can trace each and every interaction, could prove extremely valuable in areas where accountability is key. Gordon Donovan, Procurement & Supply Chain Manager for Metro Trains, has previously been quoted on Procurious suggesting the development of a ‘supplier wiki’ in order to build knowledge of the entire supply chain. 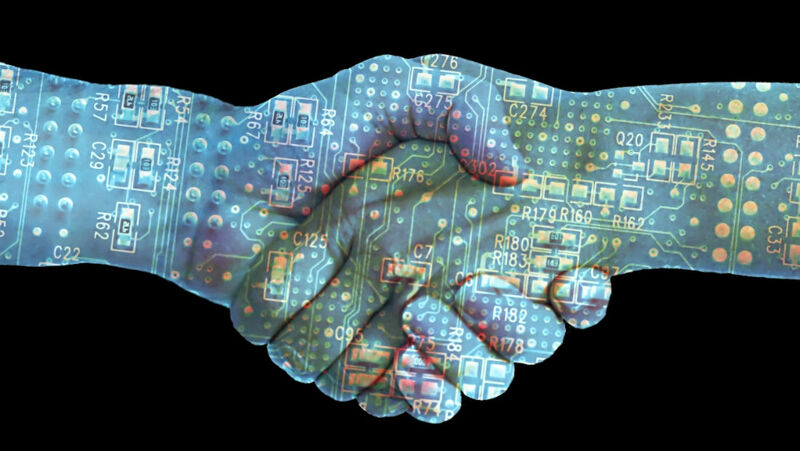 Blockchain technology could indeed be used to increase transparency, but there would be considerable work required in advance of opening this up, thanks in no small part to the highly complex nature of organisational supply chains and the numerous suppliers involved. If this reliance on blockchain is going to come to pass, more work needs to be done around trust and security – a fact that hasn’t gone unnoticed by bitcoin’s most vocal critics. With high visibility services like Twitter, the BBC, and both the global networks for Xbox and PlayStation, all being taken offline by distributed denial-of-service (DDoS) attacks, what crippling effect would such activities have on the blockchain? Moreover it wouldn’t be too much of leap to suggest vulnerabilities could lead to ‘botnets’ taking control of nodes to reveal the identities of the parties involved in transactions. But is all of this worry warranted? It would certainly seem so if the letter penned by bitcoin’s high priests is anything to by. The open letter informed the community at large of an action plan to reach a consensus on improving bitcoin security. “We have worked on bitcoin scaling for years while safeguarding the network’s core features of decentralisation, security, and permissionless innovation” – it began. In order to achieve these aims, 30-plus bitcoin developers organised two workshops (in Montreal and Hong Kong respectively) to try and carve out a scalable path for the cryptocurrency’s future. Is it possible for blockchain and bitcoin technology to transform the future of digital payments and aid supply chain transparency? Let me know your thoughts.